EE have announced plans to rollout the UK's first 5G network to selected cities in 2019. For a long time, 4G has been the backbone of the UK's mobile and cellular infrastructure. With EE leading the way in the implementation of 4G technology across the UK. In 2018, EE announced the first UK test of 4G's successor, 5G. This 5G network is set to be rolled out across many major UK cities later this year. With predicted speeds of up to 1Gpbs, 5G offers significantly higher speed than its predecessor, 4G. In November of 2018, EE - which is part of the BT Group - switched on it's first and only 5G sites in East London. After paying a whopping £300m for the rights to use the new 5G spectrum, they began trialing in London, building the first phase of the UK's 5G network. 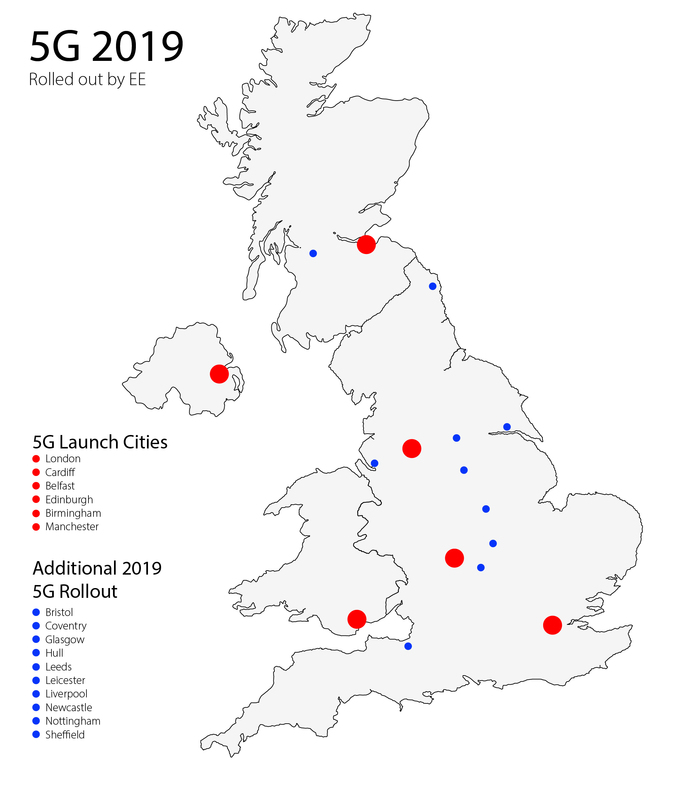 The initial phase of the 2019 5G rollout spans across 6 UK cities: London, Cardiff, Belfast, Edinburgh, Birmingham and Manchester. These have been selected by EE as the areas with the largest 'footfall' that would directly benefit from 5G. EE also say that the launch of their 5G network will "Cover the busiest parts of cities, including London’s Hyde Park, Manchester Airport, Edinburgh Waverley train station, Belfast City Airport, The Welsh Assembly and Birmingham’s Bullring shopping centre." A further 10 cities will benefit from the rollout of 5G later in 2019, including the South West's very own - Bristol. This comes as smartphone manufactures such as Apple and Samsung are expected to release 5G compatible smartphones next year. Commsplus Mobile Director, Paul Astle, says "5G will be a great addition to the UK's cellular data network. It brings speeds that are incomparable to that of 4G and it's great that EE have decided to go ahead with a UK wide rollout this year. "I look forward to the opportunities 5G can bring and the business and economic benefits it will be able to have for our customers in the future." 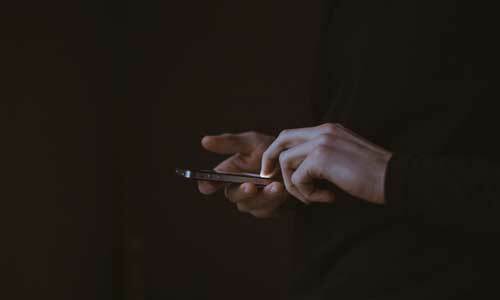 Despite the push for 5G technology from both businesses and consumers, EE have said that they will still continue their investment in 4G technology across the UK. EE have the largest 4G coverage of any network in the UK. They provide coverage for 91% of the UK with 99% of the population covered. EE states that "the busiest sites will have five carriers of 4G spectrum supporting the new 5G spectrum, making them the highest speed sites of any UK operator in 2019." The UK wide rollout of 5G in 2019 is an exciting prospect for both businesses and consumers alike. 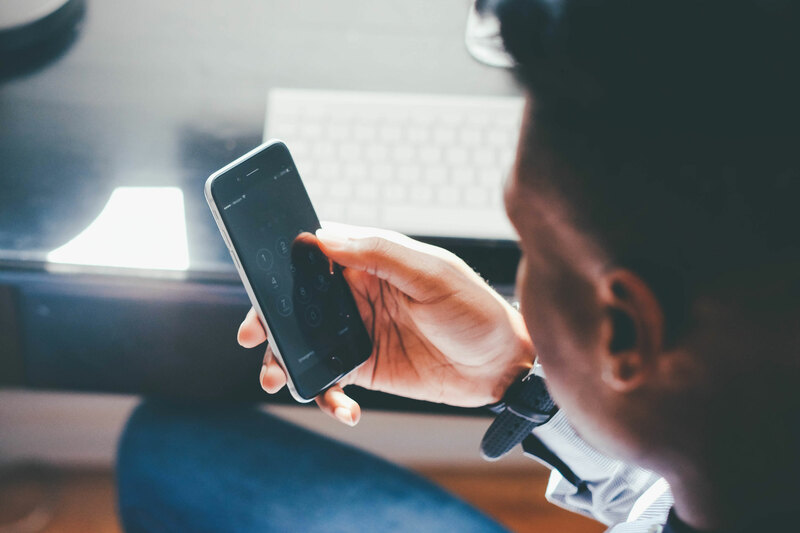 Bringing fixed line speeds to the mobile generation, 5G enables your business to expand its reach and may even be viable alternative to fixed line broadband in the future. Real time IoT data SIMs.